Unisex basketball sleeveless jersey for adults (for men and women). Reversible. Crew neck Sleeveless, without edgings. Normal fit. Specially designed for basketball. A few years ago, a famous TV spot said Two is megl che one (meaning: two is better than one - megl stands for meglio, i.e. better in Italian): the Utah basketball jersey perfectly reflects the idea behind this advert and offers two jerseys in one. The Utah basketball jersey for men by Erreà, is completely reversible and can therefore be used for both home or away games. 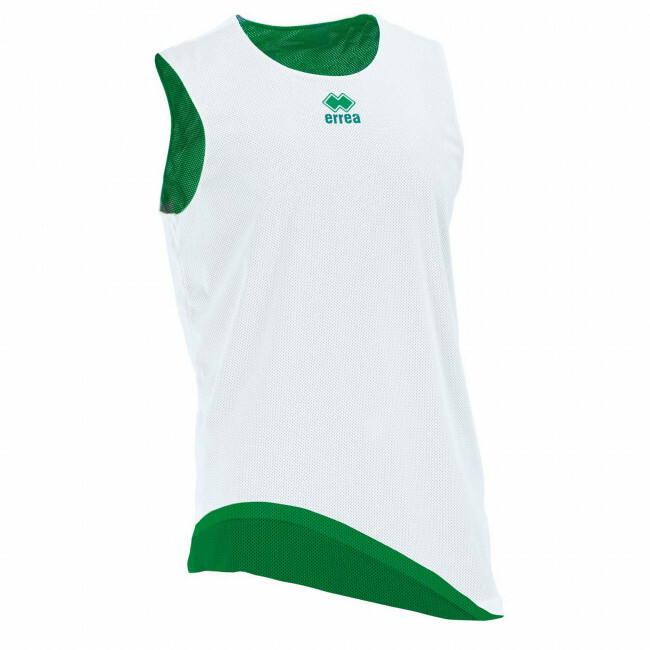 In addition to offering two basketball jerseys in one, this sleeveless garment is extremely practical to wear in any match because of its highly comfortable fitting. The crew neck provides the greatest comfort and the seams are minimal to avoid any discomfort when you are trying to shoot an impossible basket. Last but not least, its fabric is highly resistant and breathable, to wick sweat away and keep your skin dry. You can make the most of this basketball jersey matching it with the Utah shorts.